Many consumers have way more than one credit card, but for most people, one or two general-purpose credit cards suit most consumers’ needs. African Bank credit card interest rates can vary dramatically so it pays to do research to find a credit card. When it comes to actually applying for a credit card, creditors use a number of factors to match you to a card. They look at your credit score and payment history as well as your income. The best way to apply for an account is to look for a card that has the best rates and deals. In August 2014 began a restructuring exercise and in April 2016 the new African Bank Limited launched. With today’s African Bank you can save, borrow and insure and to do all this, the bank offers a range of innovative products and services. 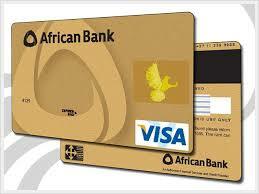 The African Bank credit card service also offers their credit cards – blue, silver-, gold and platinum credit cards. The most basic of the African Bank credit cards is the Blue Classic card with a maximum limit of R20 000. You can also qualify for an interest-free period of up to 60 days.This credit card is ideal for anyone who loves the idea of a credit card but who doesn’t want their spending to get out of control. However, if you’ve had your blue credit card for more than 4 months you can qualify for a limit increase. This is a basic credit card from African Bank without too many fancy benefits. The African Bank Silver and Gold credit cards come with additional benefits and one of the biggest benefits is that there aren’t transaction fees for when you make purchases. The first four ATM withdrawals you make will be free and you get free SMS notifications when using your card. The Platinum card from African Bank offers the most benefits, so it make sense that this card is more difficult to get hold of. It comes with an interest rate of 16.5% and you can earn yourself come reward points when shopping with your card. Each of the credit cards from African Bank are beneficial in their own way and are suitable for a specific type of African Bank customer. African Bank requires that you be 18 years of age or older to apply for their credit card and to also have the right documentation to do so. This includes your latest salary slips, your proof of residence, ID book and your latest bank statements. Blue, silver, gold or platinum credit card? It takes just 24 hours for the acceptance of your African Bank credit card application and to open up a world of top deals and offers.